What base of support can we offer, a PERMANENT VACATION from NEGATION INFLUENCES! 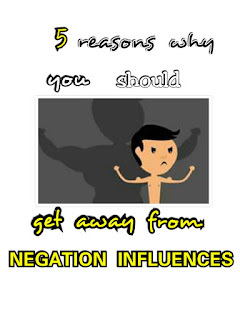 ONE thing you should know as from today is this; NEGATION can only rock and roll with the NEGATIVES, nothing more. To get away from negation influences is to reconstruct the whole perspective. Getting away from negation starts from the MIND, the centre of every thought and action. YOU can't entertain negation influences and expect the opposite, positivity. Life itself shows no favouritism, you cannot possibly sow one kind of seed and get a fruit or flower that the seed does not contain. Your mind can't entertain ideas( NEGATION) and get experiences that are not contained in the ideas you entertain. Yes, everybody fails at one point or the other, that's a known fact but when NEGATION INFLUENCES fills the whole space in your thought centre, it makes you think yourself a failure and this therefore sprout, grow robust and protrudes in your daily activities. Remember, negation can only rock and roll with negatives, nothing more. So if you don't take a permanent vacation from NEGATION INFLUENCES and THINK YOURSELF HAPPY, it automatically tricks your mind into concluding it to be a failure. Your thinking or thought centre is like a vacuum, an empty space or a fertile ground. Anything you allow to stay in the vacuum or take root in the fertile ground will sprout, grow robust and fill the entire space. You can read, I THINK MYSELF HAPPY to get more understanding. Wondering what I mean by the GROWTH FACTOR, you can check this article. Negation, when it has successfully accomplished the task of making you think yourself a failure, it proceeds to make you remain in the basement, never wanting to push forward. Like accepting your fate and feel nothing can be done to CHANGE THE RULES. With this feeling, you energize the already active NEGATION INFLUENCES which therefore proceeds to cripple your effort of incorporating the necessary GROWTH FACTOR needed for the responsibility ahead of you. By so doing, you get displaced when responsibilities and/or obligations are being disseminated. You therefore discover that by just entertaining NEGATION here, you lose on two ends; inability to push forward and failure to incorporate the necessary growth factors for the next phase of life. There is no crime in working towards perfection. By the way, working towards perfection is a driving force into making you a better YOU. However, NEGATION INFLUENCES once again inhibits this and makes you settle for the second-fiddle, thinking it's impossible to achieve perfection. There's no reason why you should settle for the second-rate. You should settle for nothing less than perfection, and that means that you must do everything as perfectly as you know how – in a first rate manner. But, you're always beaten before you start and what's good about that, NOTHING! Why? it's simply because NEGATION INFLUENCES cuts your readiness for perfection. As we've discussed earlier on on TIPS FOR PERSONAL DEVELOPMENT, NEGATION INFLUENCES cancels any iota of readiness and willingness for personal development. Since it sprouts from what the mind entertains, it sprouts, grow robust and fill the entire vacuum in the mind thereby engulfing all conscious effort towards personal development. To successfully press the button of personal development, you've got to get away from NEGATION INFLUENCES in order to prepare a fertile ground in the mind. 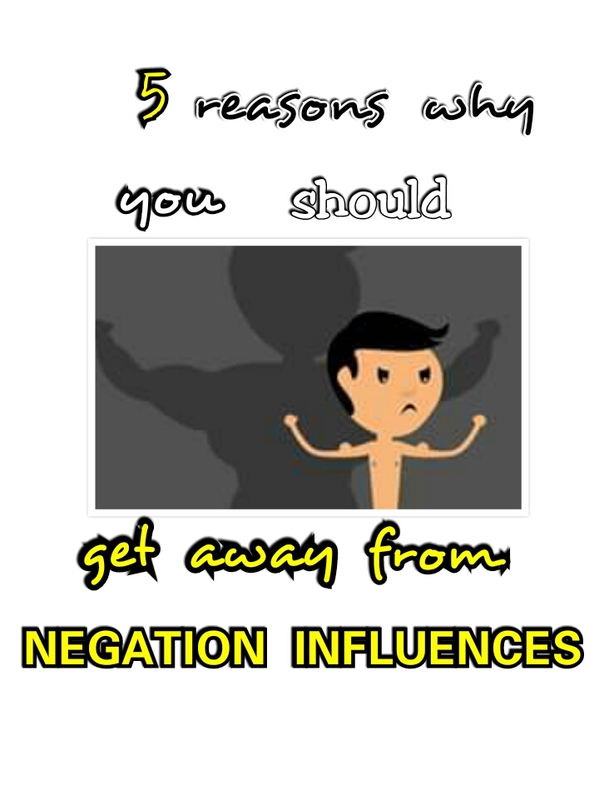 Lastly, NEGATION INFLUENCES as we've said earlier on rocks and roll with the NEGATIVES which no doubt inhibits personal development and at the long-run causes stagnation. YOU can read this article to get a rapt understanding on overcoming stagnation. With all this said and done, you'd notice that it all erupts from the MIND( thought centre). So, TO GET AWAY FROM NEGATION INFLUENCES, it is necessary to consciously use our innate power of choice, and choose deliberately what thoughts we will entertain because THOUGHTS NOT ONLY BECOME THINGS. THEY ARE VERY POWERFUL THINGS. Influencer Marketing is getting bigger and bigger, time to spend more time into it and looking into details to seperate to good, the bad and the ugly. Nice reading, enjoyed it. Thanks for reading and I totally agree with you, the market is getting bigger and bigger. Thanks for posting this awesome article. I’m a long time reader but I’ve never been compelled to leave a comment. Hi. Thanks a lot for subscribing, sharing and for the comment. We'll continue giving it our best shot to see that we present GROWTH to all.